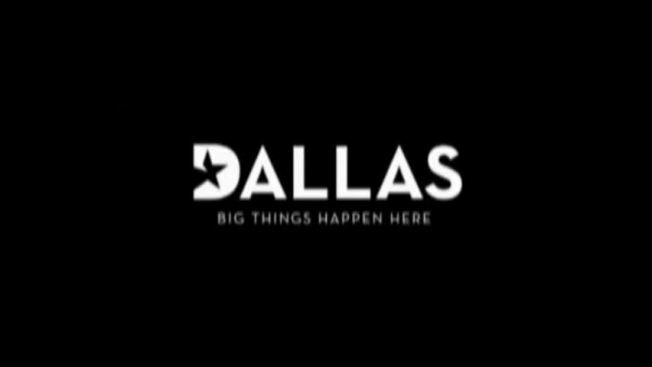 Slogan: "Dallas: Big things happen here"
The city of Dallas is telling the rest of the country that "big things happen here." Mayor Mike Rawlings and the Dallas Convention & Visitors Bureau unveiled a new logo and slogan Friday after eight months of work and research. "It tells the story of the new Dallas in 2012 and moving beyond," Phillip Jones, visitor's bureau president and CEO. For years, Dallas bragged about being the city where people come to "Live large. Think big." As of Friday, it's: "Dallas: big things happen here." "What we have in Dallas is real," Jones said. "It's authentic, and it's what sets us apart, and it's something that people immediately see it, they'll believe it." Dallas natives such as Barbara Farrar and her sisters said they love the new slogan. "We do have a lot of great things for the city and for the visitors to come in, and I think it fits our city and reputation," Farrar said. With a $5 million budget, the visitor's bureau will target the South to attract visitors to Dallas. "There is no other city in America that is experiencing the growth and success that we have in Dallas," Jones said. "It's also a city where optimism meets opportunity people are moving from all over the world." "It's got something for everyone -- culturally, restaurants, shopping," said Danea Rouse, who is originally from Philadelphia. "I think it's very family oriented." Rouse spent the day Friday with her family at the Dallas Arboretum, which is ranked among the top arboretums in the nation. "It's a fantastic slogan for a town that does big things in a big way," she said.